Indoor plants not only act as a quick decorating tool, they also help clean the environment and air around them. But if you're worried you have a black thumb, fret not! TODAY Home found the best 15 indoor houseplants that anyone can keep alive and thriving. Note: If you've got kids or pets, be sure to check if the plant is toxic before purchasing. How to care for it: This indoor houseplant can produce stems that trail 8 feet or longer, so just cut them back when they get too long and your plant will continue to look full and healthy. 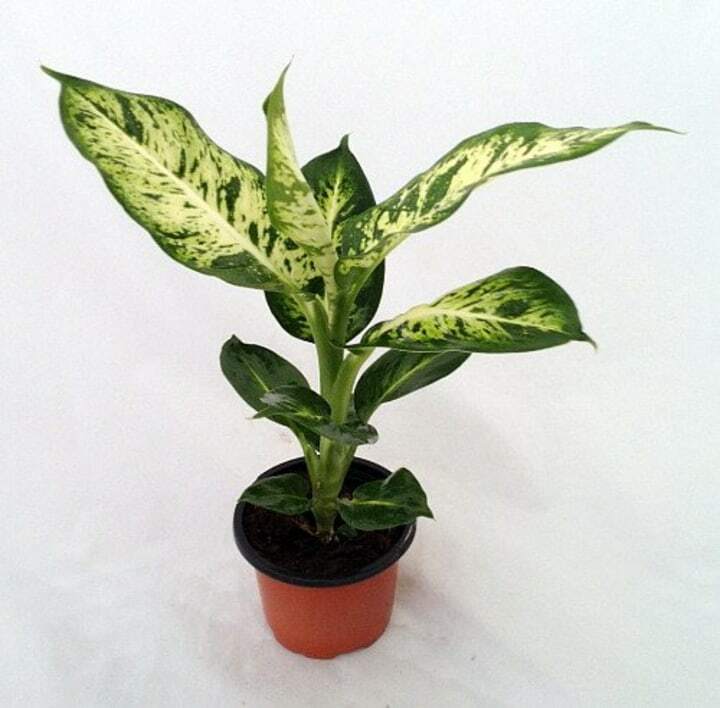 It can thrive in an array of lighting conditions, but low light may diminish the leaves' variegation. Allow soil to dry somewhat between watering. 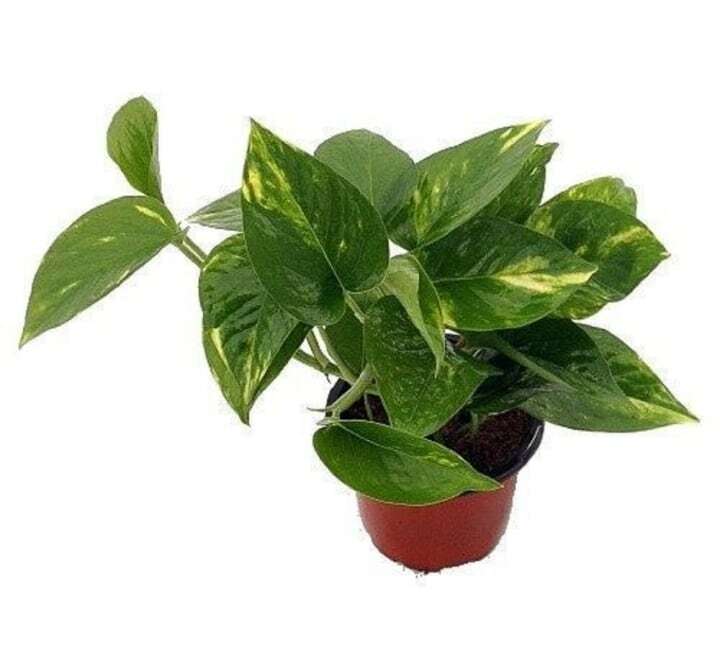 Pothos does well in an array of normal room temperatures. Also available for $7 at Jet. Or, you could get a 6-inch pot at Home Depot for $17. Why you want it: This succulent with long, pointed leaves has medicinal properties, as you probably well know. 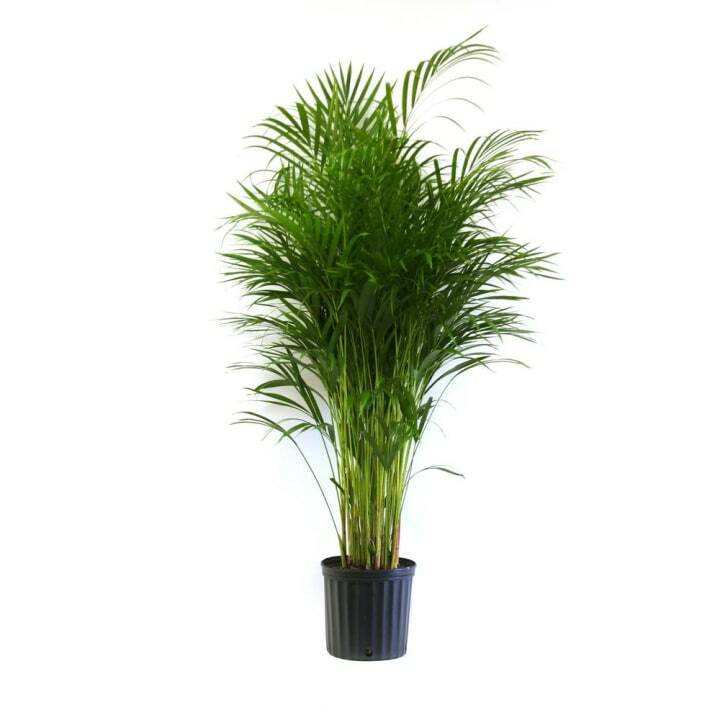 It can also grow 3-feet high to make a big impact indoors. Smaller varieties, like the popular aloe vera, work great in small, sunny indoor spaces. 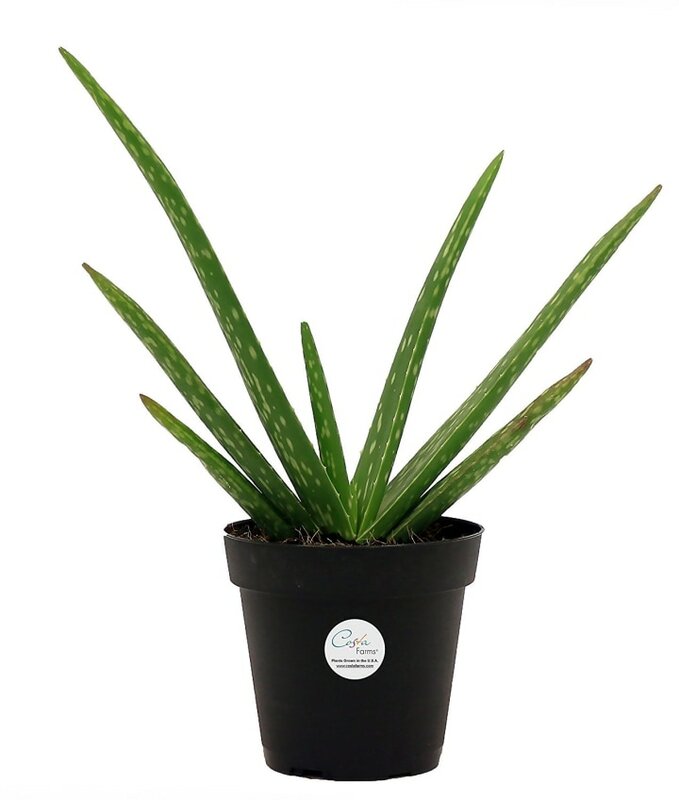 How to care for it: Aloe likes room temperatures around 70 degrees and a lot of sunlight. As you might expect for a succulent, this indoor houseplant prefers dry soil, so avoid frequent watering for the best results. Why you want it: These unusual-looking indoor plants add visual interest to a room, and they haven't fallen out of fashion after years of popularity. 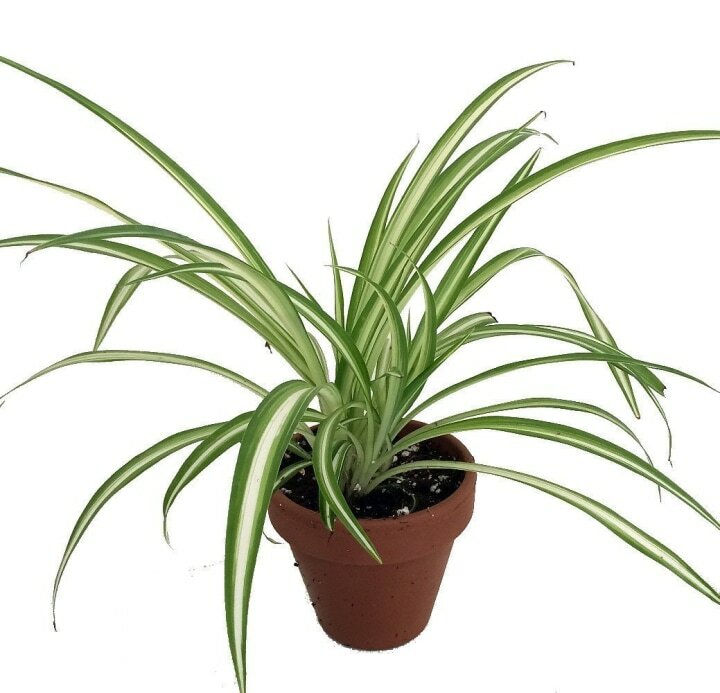 Spider plants come in a number of varieties and work well as hanging plants. Also available for $6 at Walmart, and for $20 (with free shipping) at Etsy. 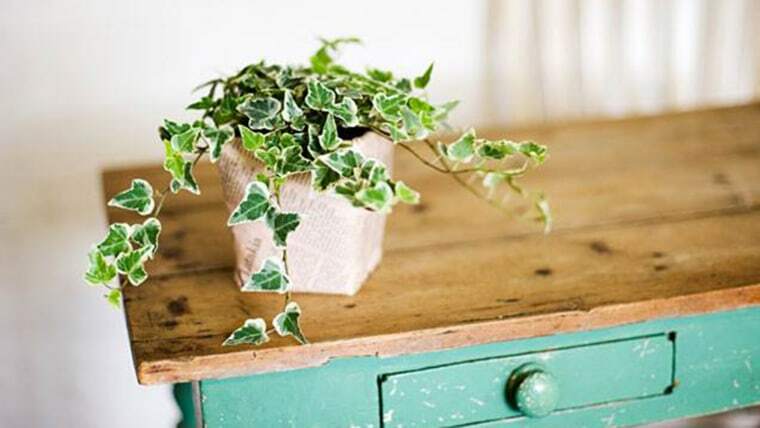 How to care for it: English ivy likes moist soil and cooler room temperature conditions, ranging from the mid-50s to about 70 degrees. Also available for $3 at Walmart. Why you want it: For those who love the look of a succulent — not to mention, the ease of care — a jade plant offers thick, lush leaves and visually interesting branches. It grows slowly and has the potential to live from the day your kids are born until their high school graduations ... at the least! 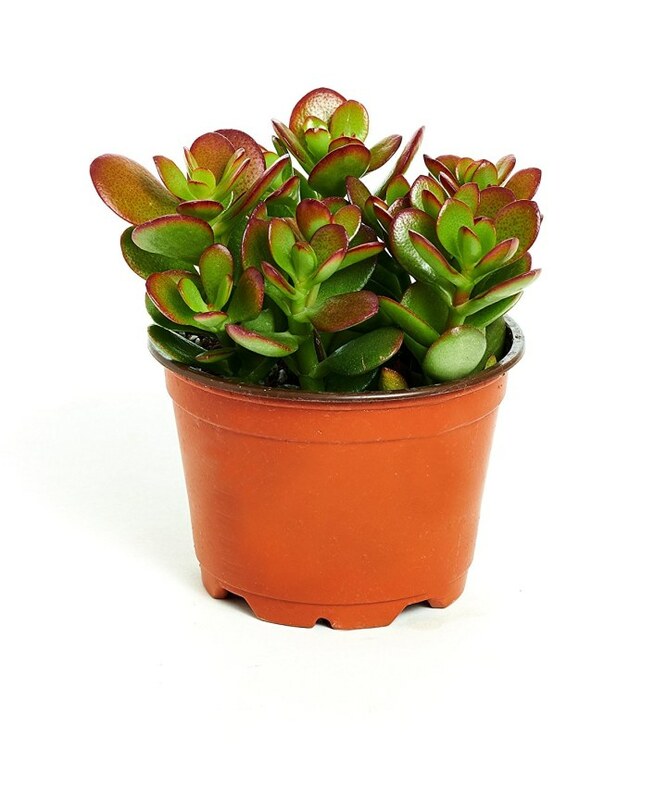 It also looks great in a pretty pot when paired with other succulent varieties. How to care for it: Jade plants don't require a lot of water, so keep soil somewhat dry. It prefers bright light and ordinary room temperatures. Also available for $15 on Etsy. Why you want it: This easy-to-grow indoor houseplant will grow into an 8-foot-tall tree for a major pop of greenery in a room. 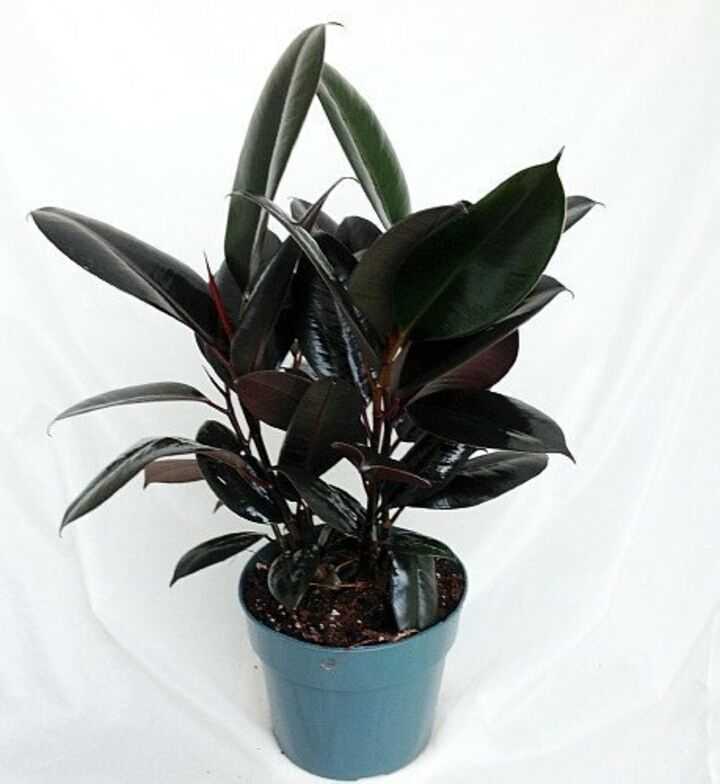 If you prefer a smaller plant, make your rubber tree into a shrub shape by pruning any long stems. Extra bonus: The dark green leaves have an attractive shiny finish. 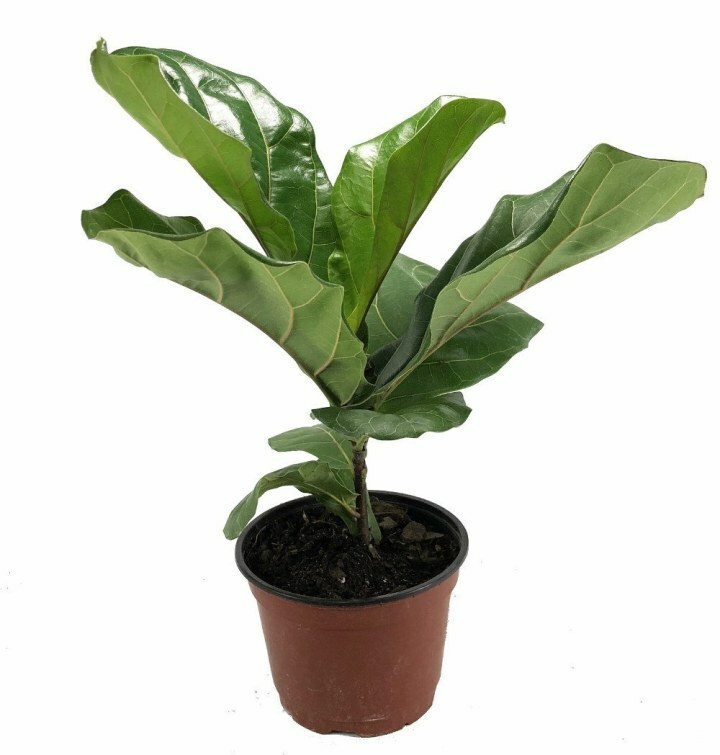 How to care for it: Allow the surface of the rubber tree's soil to dry out in between watering. It thrives in lighting conditions from medium to bright, and a range of room temperatures between about 60 and 80 degrees. Also available in an 8.75-inch pot for $30 at Home Depot. Why you want it: The leaves of this pretty indoor plant can grow up to a foot long, and provide a tropical-looking accent to home decor. The whole plant can grow 6-feet high for a cheery room focal point. 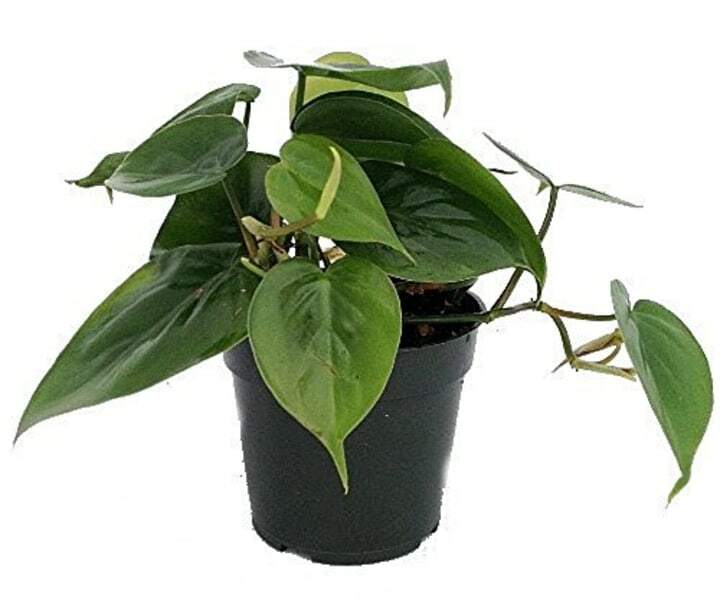 How to care for it: Dieffenbachia thrives in normal room temperature not colder than the mid-60s. Keep the soil evenly moist, and provide medium or low-lighting conditions for the best result. Also available in a 6-inch pot for $17 at Home Depot, and in a set of two for $26 (free shipping) at Etsy. Why you want it: Surely you've seen this indoor houseplant in many homes, since it has such pretty, curving white blooms and dark leaves and it's easy to grow. 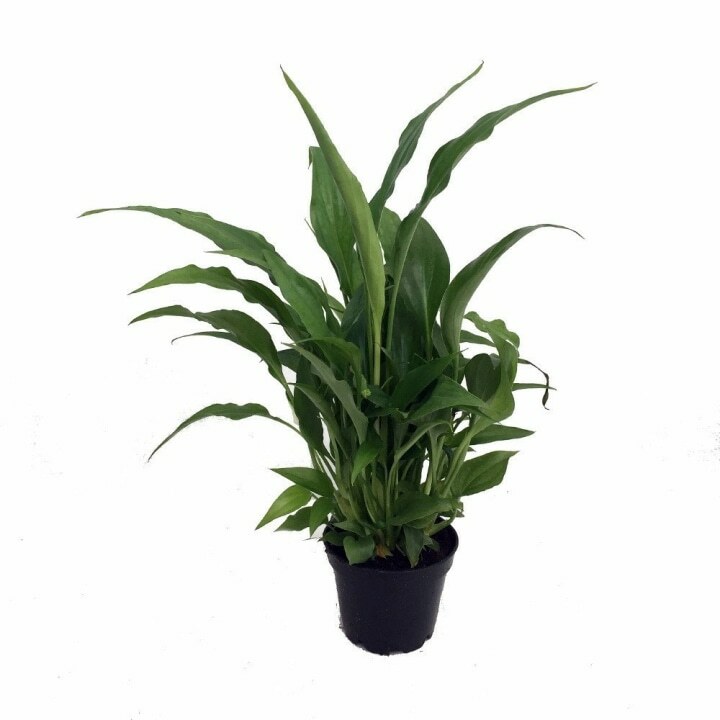 How to care for it: This houseplant favors low humidity and also low light, making it great for rooms with few windows. 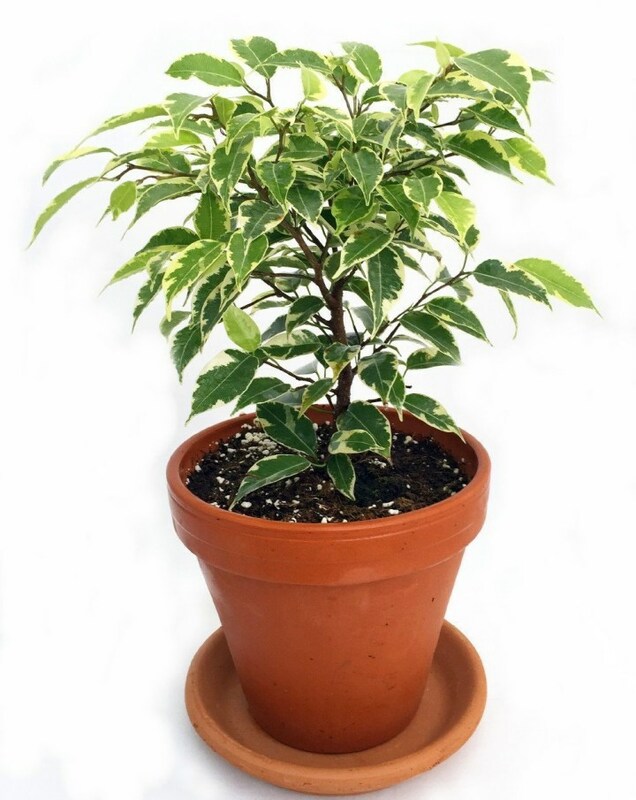 It prefers moist soil throughout the pot and tolerates standard temperatures to about 85 degrees. Also available for $11 at Amazon and for $8 on Etsy. Why you want it: It doesn't get much easier than this indoor houseplant — also known as mother-in-law's tongue. 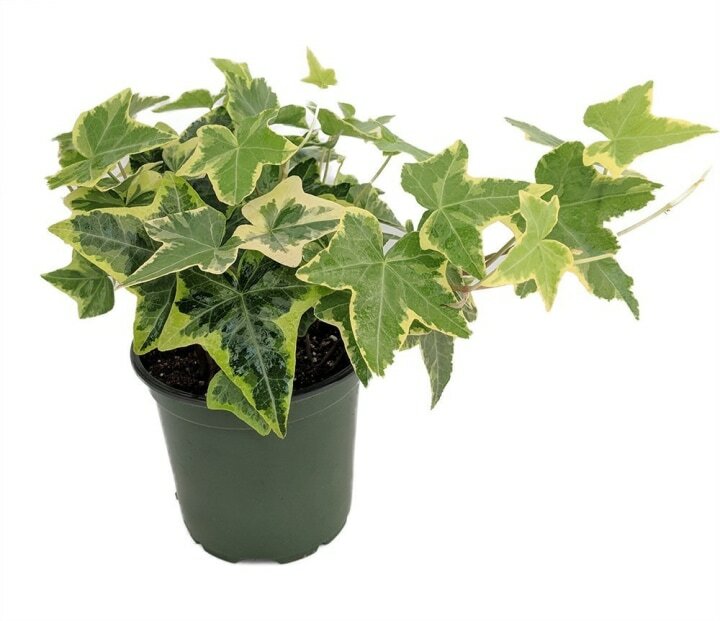 It has variegated leaves that grow upright, and some varieties have yellow or white edges. It has small, white flowers that bloom only rarely. Also available in an 8.75-inch pot for $28 at Home Depot. How to care for it: This tree likes full sun or at least bright, filtered light. Most varieties (there are about 800!) prefer several days of dry soil in between thorough watering. Room temperatures between 65 to 75 degrees work best. Also available for $19 (free shipping) on Etsy, and in a 6-inch pot for $34 at Jet. Why you want it: This is a trailing indoor houseplant that loves to make its way down mantles or bookshelves. 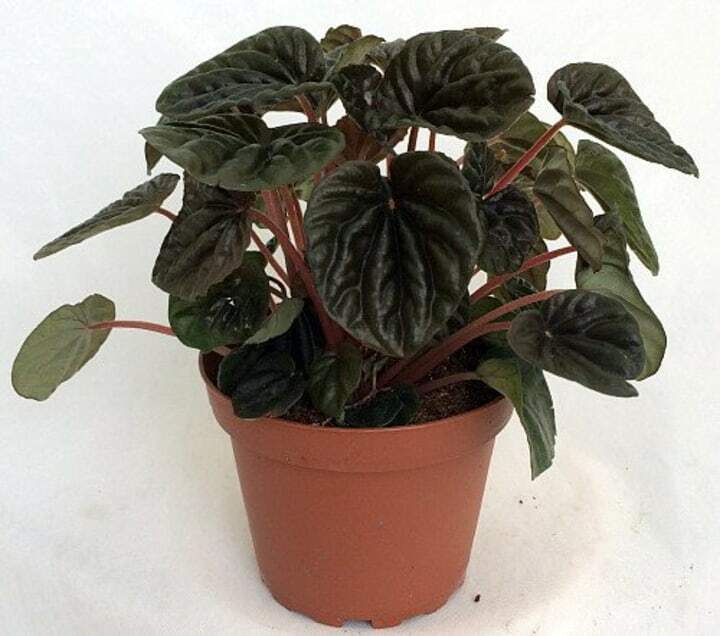 Its perky, dark green leaves come to a heart shape where they meet the stems. How to care for it: This may be the quintessentially easy indoor plant. It thrives in a range of lighting conditions, from low to sunny, preferring indirect light. It does well anywhere close to standard room temperature. Let the surface of the soil dry between watering; it should not be constantly wet. Also available for $5 on Etsy and $1 on Walmart. Why you want it: A whole array of small indoor houseplants with textured, shiny, often colorful leaves fit into this category. Some popular, attractive and easy-to-manage indoor varieties include watermelon, red-edge and ripple peperomias. 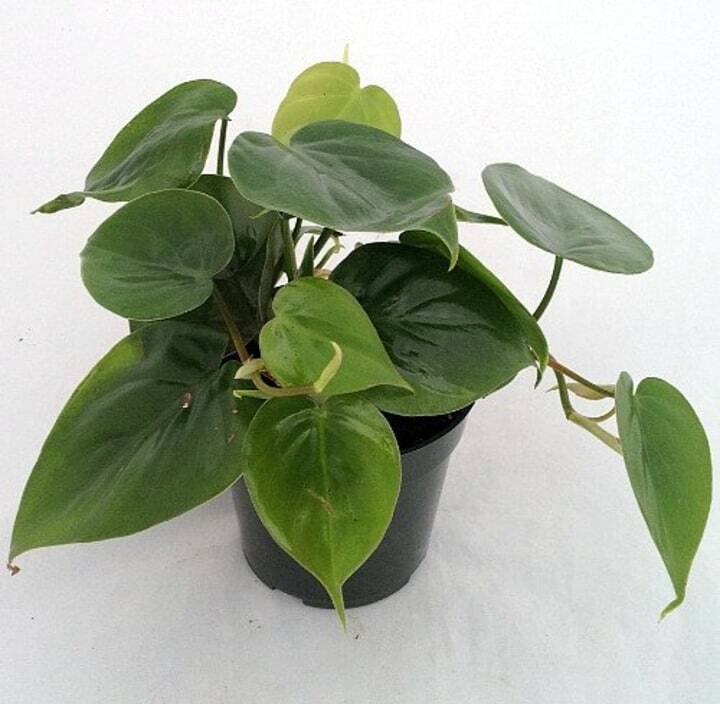 How to care for it: Peperomias favor indoor temperatures from about 60 to 75 degrees and medium or low-lighting conditions. The surface of the soil should dry out between watering. 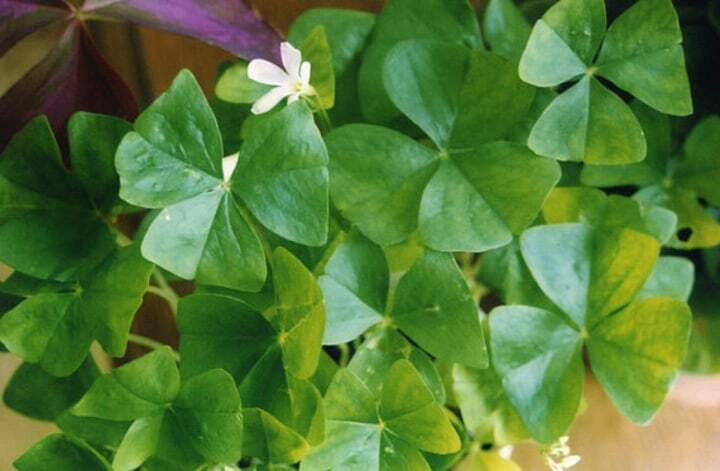 Why you want it: This jaunty indoor houseplant has bright green leaves that look like shamrocks, plus sweet white flowers on tall stems. How to care for it: This houseplant loves bright but indirect or filtered light. Allow the soil to dry out a bit between watering thoroughly about once per week. Also available for $10 at Amazon. Why you want it: This lovely indoor tree (actually a species of ficus) has large, dark green leaves that seem to form the vague outline of a fiddle or violin — that's how it got its name. Also available for $38 on Etsy (free shipping). Also available for $29 at Amazon. Alesandra Dubin is a Los Angeles-based writer, Village's chief lifestyle blogger and the founder of home and travel blog Homebody in Motion. Follow her on Google+ and Twitter. This article was originally published on Feb 12, 2016.